NASA technologies are being used to locate underground water in some of the driest places on the Earth, build quieter and more fuel-efficient airplanes, and create shock absorbers that brace buildings in earthquakes. 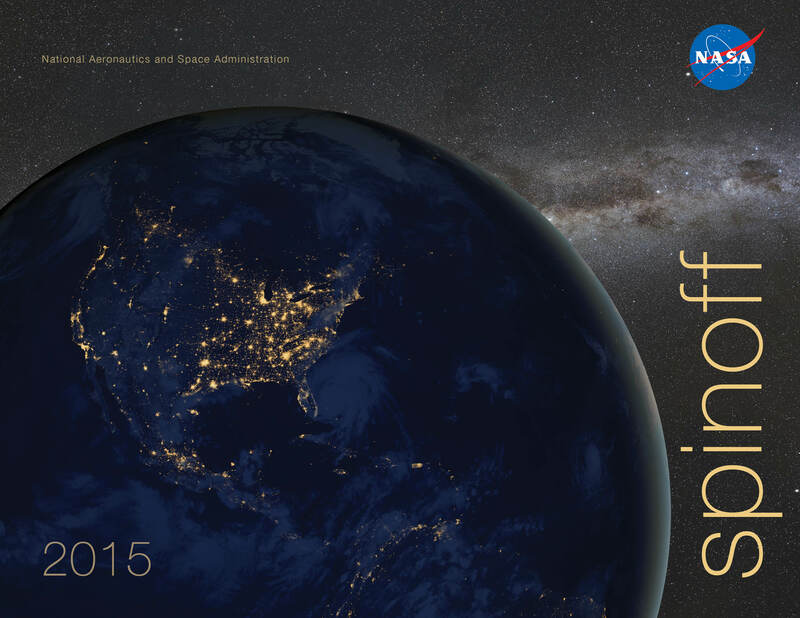 The 2015 edition of NASA’s annual Spinoff publication highlights these and other technologies whose origins lie in space exploration, but now have broader applications. Spinoff 2015 tells the story of shock absorbers used during space shuttle launches that are now being used to brace buildings during earthquakes, preventing damage and saving lives. The book also features a NASA-simplified coliform bacteria test that is being used to monitor water quality in rural communities around the world, as well as cabin pressure monitors that alert pilots when oxygen levels are approaching dangerously low levels in their aircraft. Published every year since 1976, Spinoff offers a close-up look at how NASA’s initiatives in aeronautics and space exploration have resulted in technologies with commercial and societal benefits across the economy, in areas such as health and medicine; transportation; public safety; consumer goods; energy and environment; information technology; and industrial productivity. These spinoffs contribute to the country’s economic growth by generating billions of dollars in revenue and creating thousands of jobs. The publication also includes a “Spinoffs of Tomorrow” section showcasing 20 industry-ready NASA technologies — from smart coatings that protect metal from corrosion to an identity verification system that uses the human heartbeat as a “fingerprint” — that are all available for licensing. NASA’s Technology Transfer Program is charged with finding the widest possible applications of agency technology. Through partnerships and licensing agreements with industry, the program ensures NASA’s investments in pioneering research find secondary applications that benefit the economy, create jobs, and improve quality of life. Print copies of Spinoff 2015 can be requested free of cost on the Spinoff website, where digital versions of the book also can be downloaded. An iPad version of Spinoff 2015, including multimedia and interactive features, also is available for download in the Apple iTunes store.